In November 2016, Singapore Airlines opened an pop-up Gallery at Hobbemastraat 3 in Amsterdam. Agency Hammerfest.co designed a campaign to promote the occasion. They chose our Krul as the main typeface in their work. 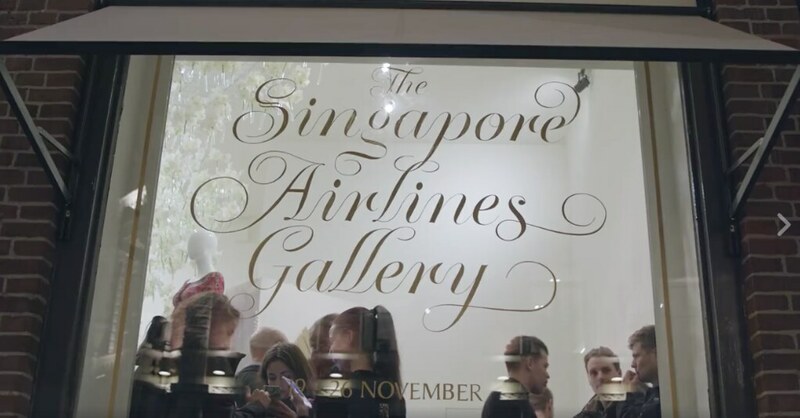 The campaign’s logo was later hand painted on Singapore Airlines gallery’s windows by Miranda Ensink, a member of the Amsterdam Signpainters group.